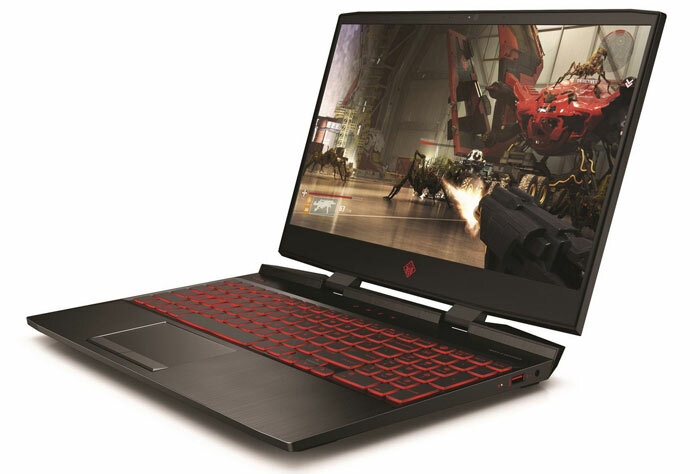 At an event in Bejing, China today, HP launched some new hardware and software to enhance its Omen gaming range of PCs and accessories. Probably the biggest announcement was that of the new Omen 15 Laptop, which is described as "faster, smaller and more powerful than ever". It features up to an 8th gen Intel Core i7 processor, Nvidia GeForce GTX 1070 Max-Q, Intel Optane storage options, and a choice spanning 15.6-inch 144Hz 1080p and 60Hz 4K displays. 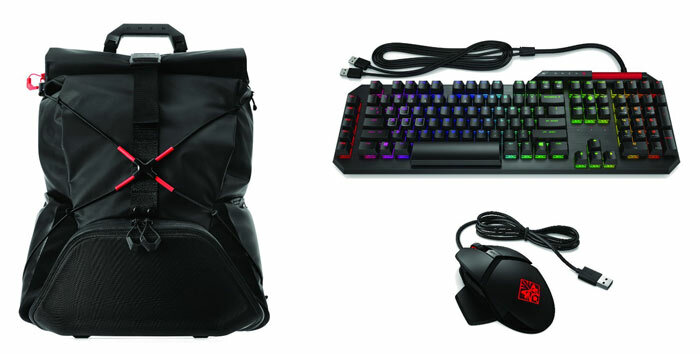 A the event HP also launched some Omen gaming accessories (keyboard, mouse, headset, backpack) and the Omen Command Centre software addition of Omen Power Now Streaming. The new Omen 15 is noticeably more compact but somewhat more powerful than last year's model. A year ago the top spec Omen 15 featured a 7th gen Intel Core (quad core) CPU and an Nvidia GeForce GTX 1060 with Max-Q design. This year the firm can sell you an Omen 15 with a choice of 8th Generation Intel Core i5+ and i7+ processors with up to six cores. It can also be kitted out with an Nvidia GeForce GTX 1070 with MAX-Q Design. However, it is "much smaller" and lighter (2.5kg). Display: 15.6-inch diagonal display, with options including 144Hz 1080p, 60Hz 4k9, or 60Hz 1080p and Nvidia G-Sync technology. RAM: up to 32GB DDR4-2666 RAM. Storage: flexible storage options, including SSD, HDD, SSD + HDD, or even HDD + Intel Optane memory. Cooling: larger fans, a 3-phase motor, and fluid dynamic bearings. Vents on the back and bottom. Some configurations have larger vents on the bottom. Audio: Stereo speakers powered with audio by Bang & Olufsen and a discrete audio amplifier, plus DTS Headphone:X. Should you wish to do any upgrades yourself, HP assures that Phillips-head screws on the base of the machine can be undone to provide easy memory and storage access. 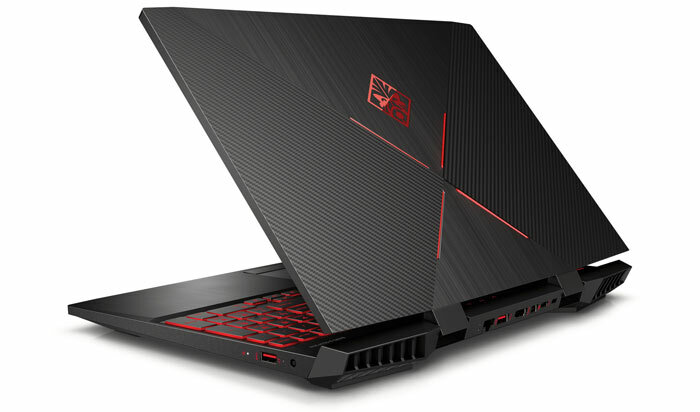 The HP Omen 15 Laptop is expected to be available on 29th July, 2018 via HP.com and other retailers for a starting price of $979.99. That base config features GTX 1050Ti / Core i5 / 8GB RAM. The Omen by HP Sequencer Keyboard features optical-mechanical Blue switch technology with a 0.2ms response time, claimed to be 10x faster than traditional switches. A convenient roller bar and dedicated media keys enhance the control at your fingertips. This individually backlit RGB LED keyboard is controlled via the Omen Command Centre. Expected in July, this new keyboard has an MSRP of $179.99. HP's Omen Reactor Mouse features a "robust industry-first aluminium metal USB cable that helps reduce kinking and commands attention". The design includes optical-mechanical switch technology with light beam detection enabling a 0.2ms click response time on left and right buttons. The sensor is described as an advanced esports-grade 16,000 DPI model delivering both speed and precision. An adjustable palm rest and rubber grips are good for ergonomics and again this accessory offers programmable RGB LEDs (2 zones). Available from July, this mouse has an MSRP of $79.99. 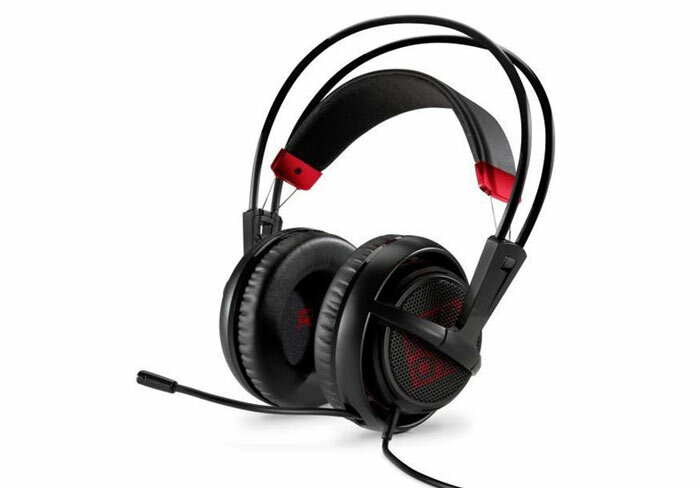 The Omen by HP Mindframe Headset is claimed to be "the world’s first headset with active earcup cooling technology". Active cooling is delivered by a thermoelectric device inside the earcup that conducts heat from the acoustic chamber towards the outside - keeping you cool under pressure. Elsewhere HP promises a luxurious fit, immersive audio thanks to DTS Headphone:X11 and 7.1 virtual surround sound, a noise-cancelling unidirectional microphone with flip-mute, and RGB lighting. HP hasn't shared a price for this headset it just says that it will be available sometime in H2. Other HP launches in China were a couple of other lower spec mice, some mouse pads, and a backpack.